Home / News / 2017 / March / 16 / 2017 Season coming! We have been busy getting ready for the 2017 season. In the next few upcoming weeks, we will be doing quite a few improvements that will make the track more appealing and safe. We are going to be cutting out large sections of the track and replacing the areas that have failed with new asphalt. We have been working on the drainage problems as well as tearing down old structures and overall beautifying the property. I am very happy to announce that we are planning many open track days this year starting with our first event on April 22 and 23, and repeating every 4 to 6 weeks until October. These track days are open to everyone! We have partnered with GANAR Driving Experience to help manage these open track days. You can visit their website at http://www.ganarde.com for videos, pictures and more information about the events. We have had many requests to hold two-day events. We have listened and changed our format to offer events on Saturday and Sunday and both days will include ambulance, corner workers, and fire safety. The event is limited, so please sign up ASAP to reserve a spot. The cost is $220 per day or $400 per weekend. There is a $10.00 Admission fee per person (participants-this is not included in the entry fee), kids 8 years & under are free. 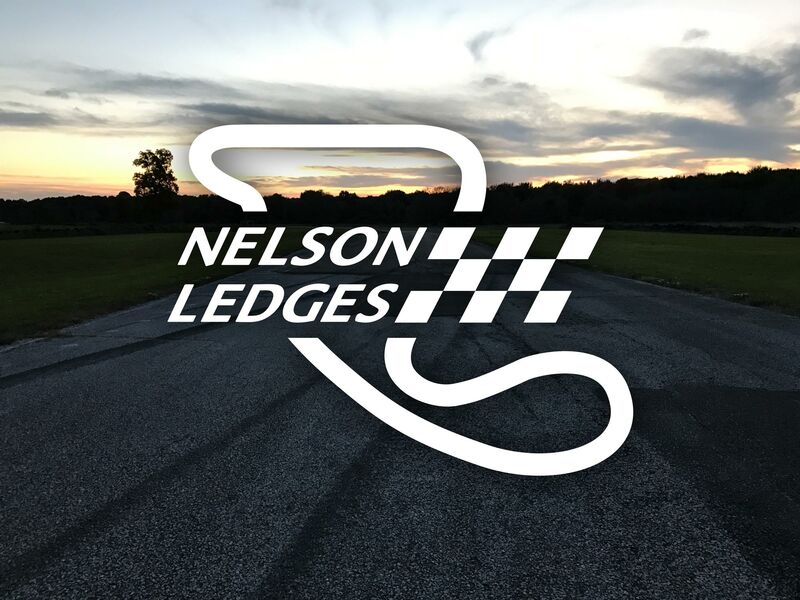 This will be collected at the entrance of Nelson Ledges Road Course along with a signed waiver for all spectators and drivers. If you are interested in instructing, please contact GANAR Driving Experience: Instructors@ganarde.com for special pricing. They will give you a coupon code at checkout. Limited number of instructor slots are available. GANAR has also booked June 3 and 4. The pricing will be the same: $220 per day or $400 per weekend. The Admission fee will also be collected as previous. We are very excited to announce that you can register for the event in our website! We are constantly adding content but most importantly feel free to frequently view our calendar for it will regularly be updated on a weekly basis to help keep everyone up-to-date on the latest news, events, and activities. We will still be hosting private track days just like last year. If you would like to reserve a date, please send us an email or call Fred Wolfe at (330)977-0111. We know that many of you have reached out the last few weeks, we are diligently working and promise to reply to everyone’s messages and emails as soon as possible. We know this is on many people’s mind: “What about motorcycle events?” We are working very hard on this, we hope to be able to host motorcycle events soon.